Internet Webcomic - Wait, Blog Post? As I’ve mentioned, I’ve been on a business trip for a few days- I’m wiped. Not only am I wiped, but I had to stay up until 5 making a schedule, and I just found out that my shift tomorrow is at noon, not 2. So, I’m going to bed instead of killing myself through lack of sleep. 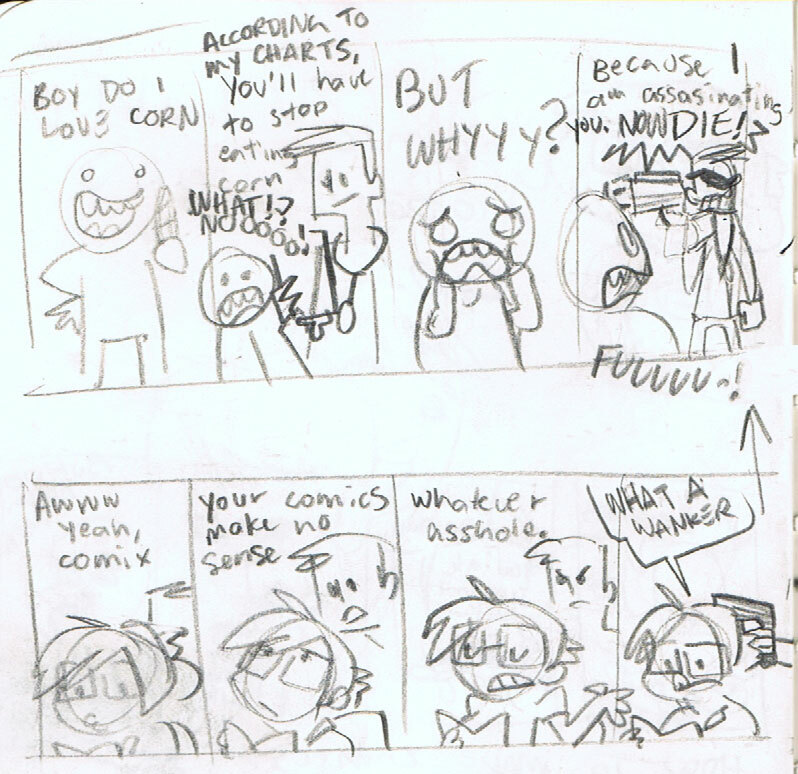 Seriously, I can’t even remember the proper comicpress file naming conventions, it’s that bad. By the by, sorry if I just spammed your RSS feeds with posts aimed at 2004. Howeverrrrr- I can’t let myself not post *anything* for an entire Saturday. 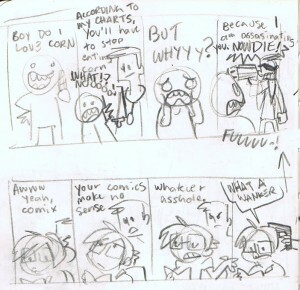 So here are some comics I wasn’t going to publish fresh from the ol’ sketchbook. They’re weird, they’re nonsensical, and they will hopefully be good enough to stand in until I can get a comic posted in the near future. I’ll probably delete this post and just put up the new strip instead, as this one would look weird in an archive. This is why I love archive-bingeing; there’s no waiting!